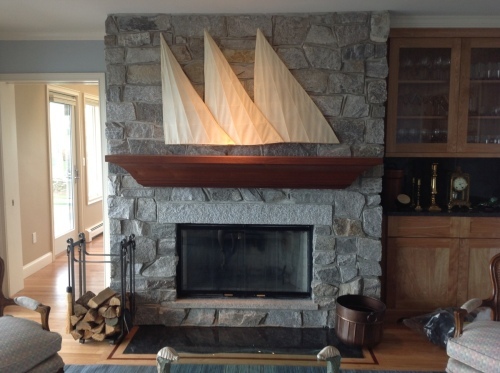 I designed this custom mahogany mantel and Artist Frank Hyder created the three sails as a compliment. Genius! 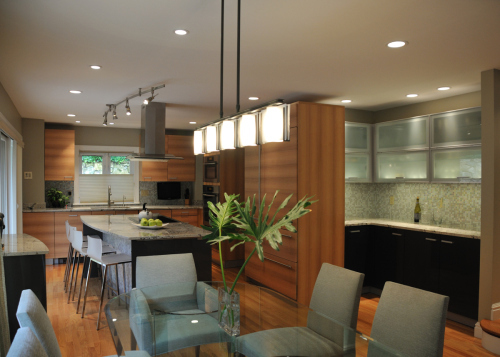 Remodel of a townhouse. 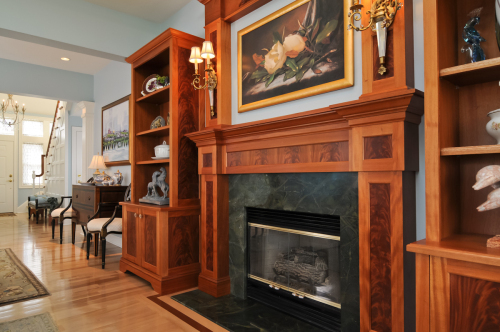 Walls moved, floors replaced, custom applied moldings. 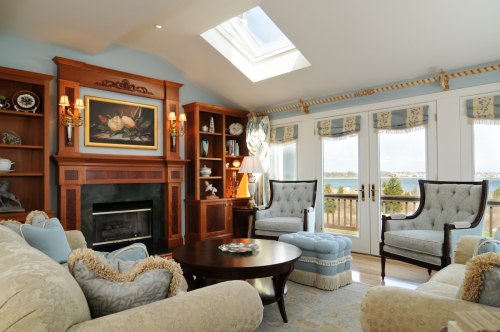 Elegant window treatments to frame the view and compliment the new furnishings. Detail of rooster tail mahogany, also called flame mahogany. 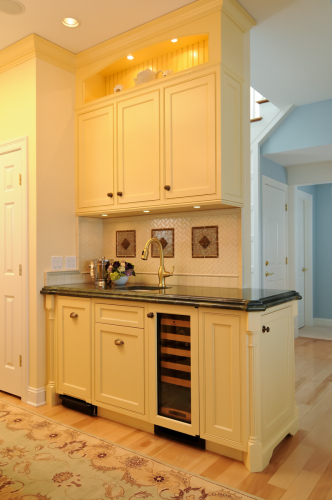 Stone surround matches the kitchen counters, Golden Lightning. 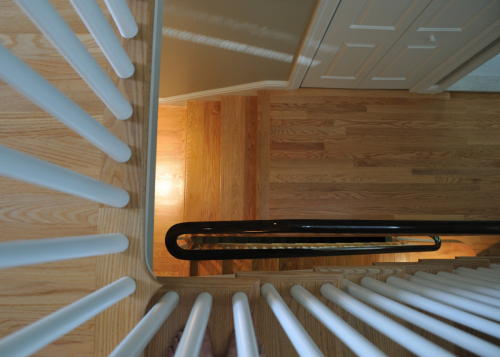 Hardwood floor of beech with mahogany banding. A glorious one of a kind kitchen with custom cabinets, double thick granite counters and recycled glass tile accent at back splash. 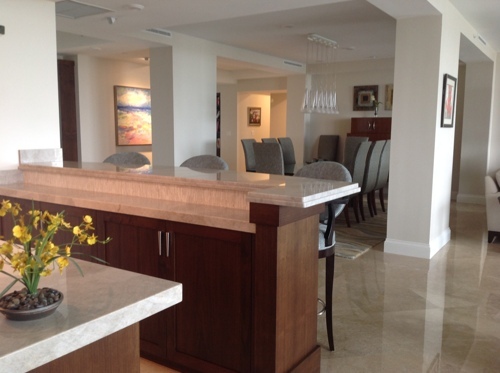 Wet bar with wine cooler and trash compactor. 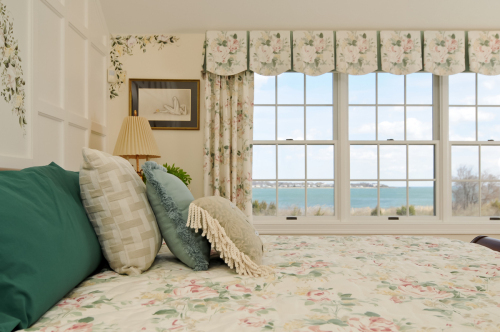 Seaside view from master bedroom. 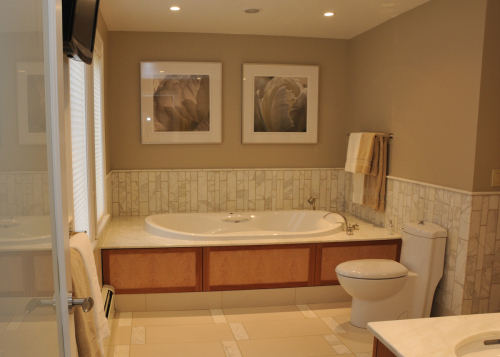 Free standing whirlpool tub in master bath. Custom cabinets with double vanity in master bath. 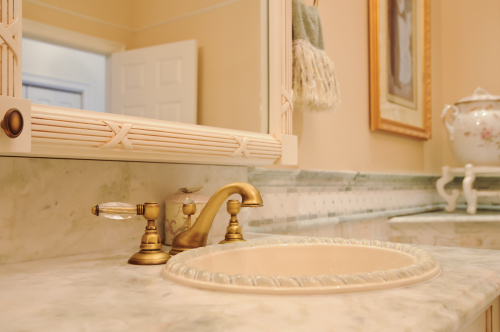 Decorative rope edging on lavatory bowls and crystal handled faucets. 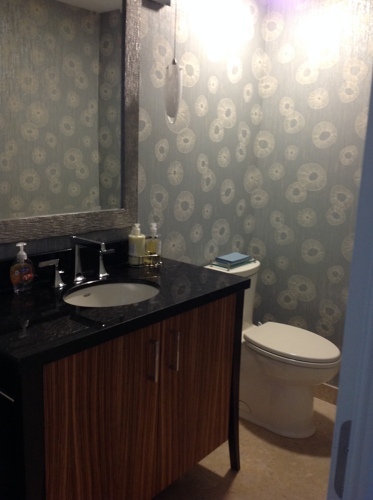 Finely detailed marble tile design expertly executed. 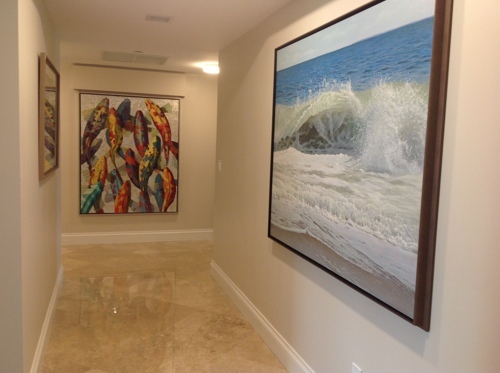 Ming Green, Thasso White and Alba Chiara marble mosaics. 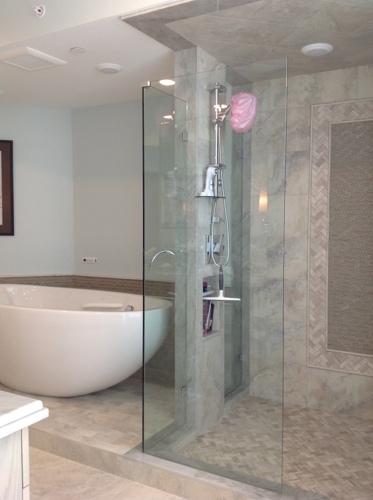 Frosted glass rose mosaic panels framed with mahogany. 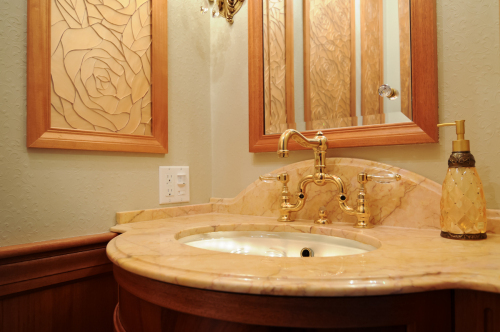 Bow front vanity and wainscoting of rooster tail mahogany with illuminated glass sink and crystal handled faucet. 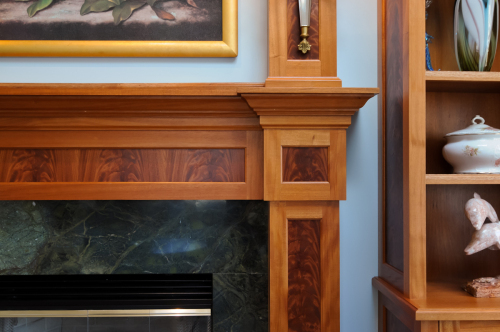 Sapele and maple cabinets with Tasseled quartzite fireplace face. 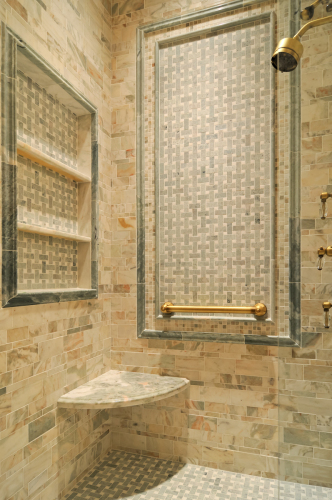 European cabinets, glass mosaic back splash and light colored granite sparkle. 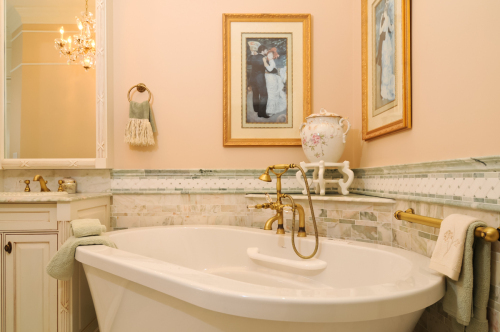 Calm, classic palette to soothe the soul. 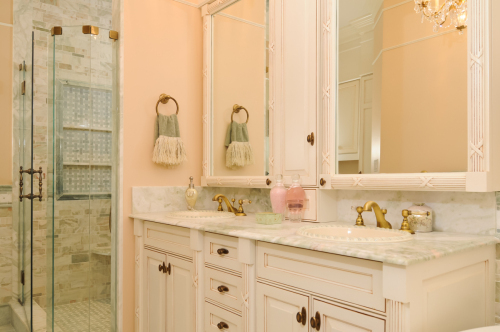 Cherry framed figured maple vanity cabinets contrast to Calacutta Ora marble. 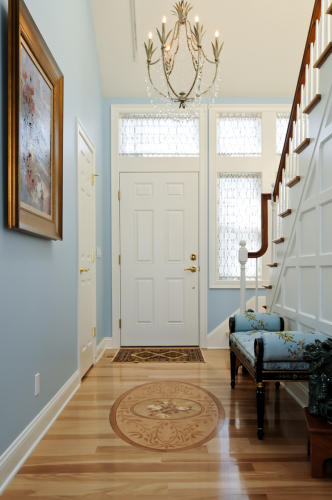 Cast glass wall lets light into the master bedroom entry hall. 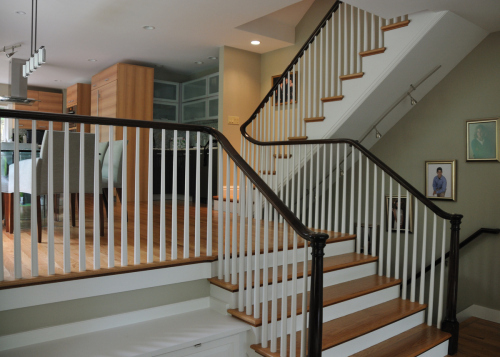 Dark mahogany bannister run uninterrupted to the third floor. 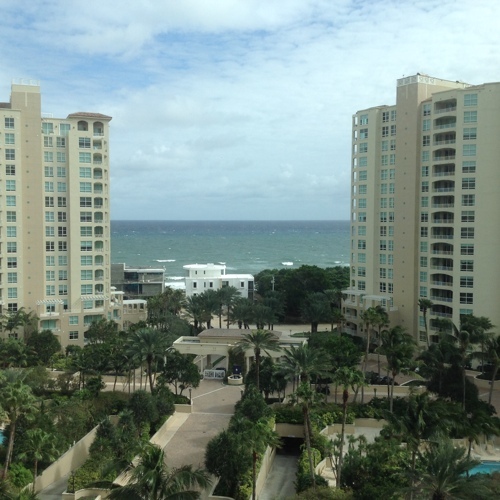 Ocean view from east balcony. 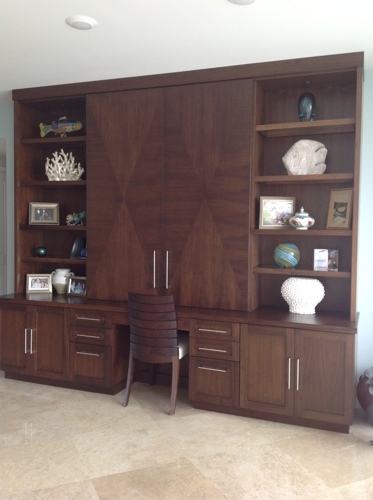 A desk with storage and display designed specific to client's requirements of Walnut and glass. Computer area concealed behind sliding doors. 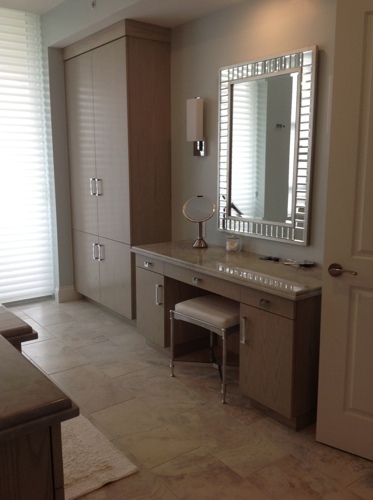 Powder room all new custom vanity of Zebrawood and Walnut. 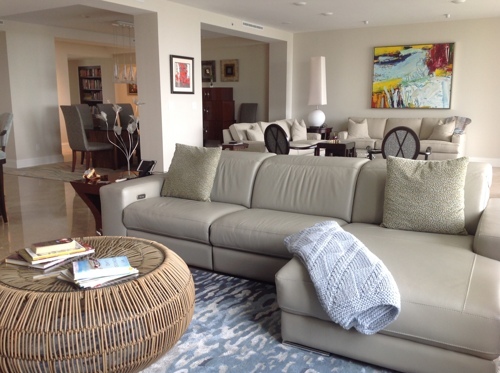 Family room with comfortable motion sectional. 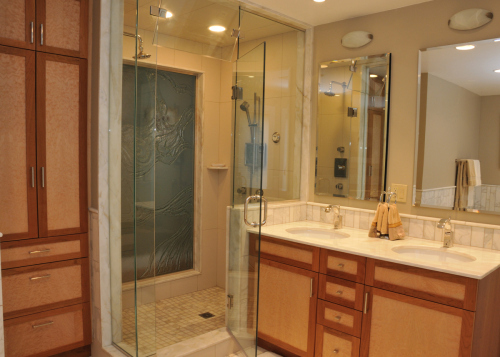 Freestanding bubble tub, plumbing fixture column and glass paneled shower are set against porcelain field tile with marble and glass mosaic accents. 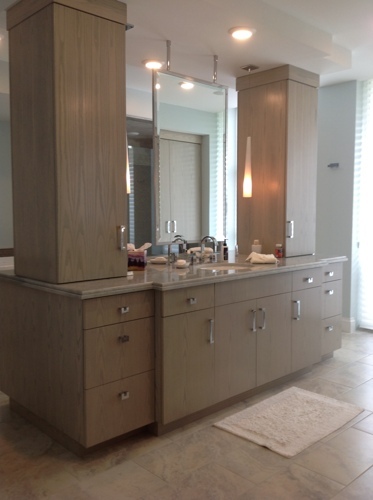 Master bath island vanity has a his and a hers side with stainless steel framed floating two sided mirror. 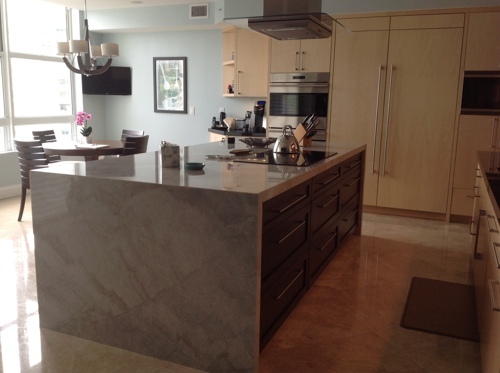 Kitchen island features waterfall Taj Mahal quartzite counter. 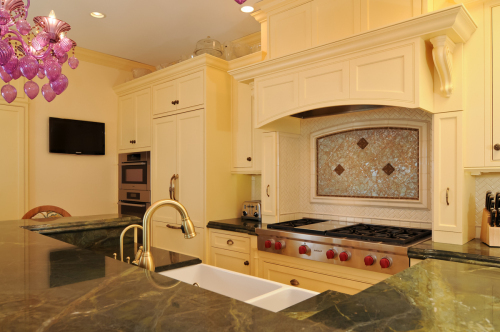 Walnut and Sycamore cabinets accented with tumble glass mosaic backsplash and Antique Brown granite. Service side of bar. 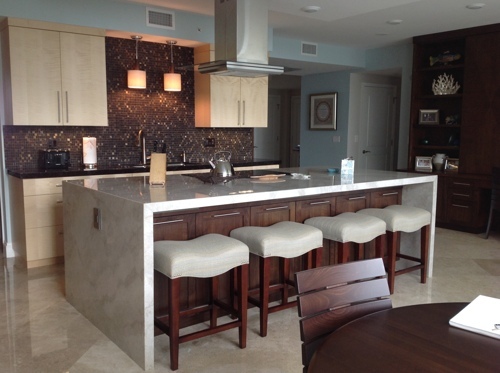 Custom Walnut cabinets with marble mosaic and Taj Mahal quartzite counter top. Appliance wall features built-in convection ovens, freezer and refrigerator towers and microwave speed oven with Sycamore cabinets. 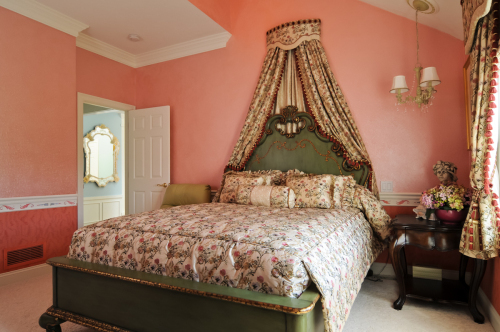 Gallery hall leads to master suite and quest bedrooms. 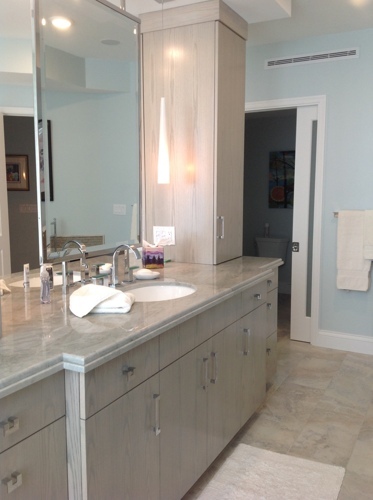 Linen storage and dressing table in gray stained riff cut oak with Sea Pearl quartzite complete the master bath. 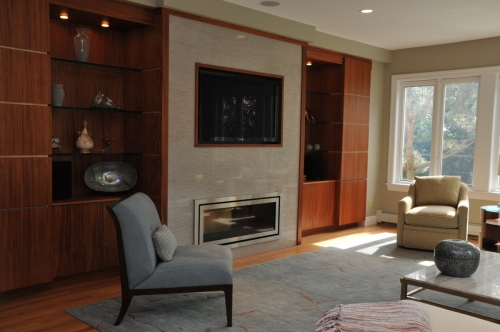 Graceful lines, pale pallet contrast with Walnut cabinets in living room and family room. 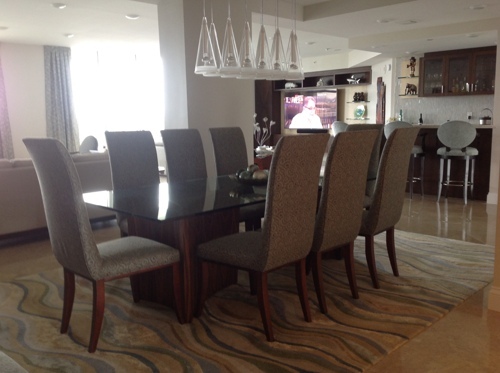 Soft curves of furniture create inviting dining. 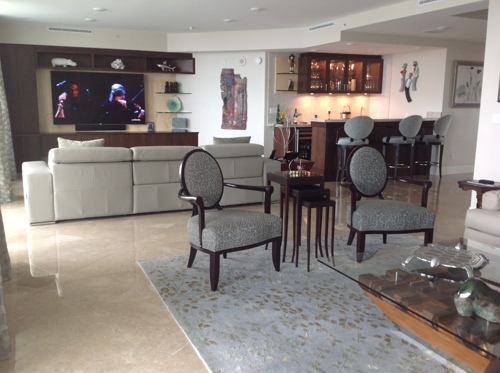 Artesian twin Rosewood pedestals float on custom carpet of watery hues. 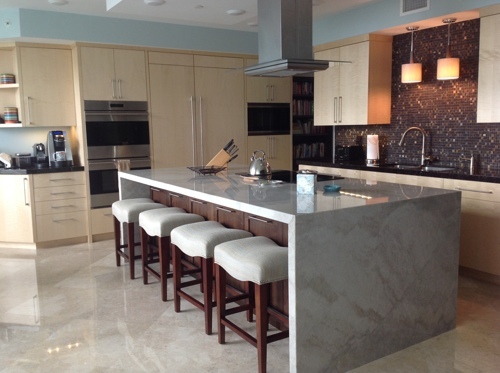 Pale blue walls and sandy tones of tile and cabinets reflect the client's love of the ocean. Breakfast room with view of the Atlantic Ocean.